Azure Backup is a secure and reliable cloud-based solution that can replace your on-premises or offsite backup and allow you to backup and restore data from the Microsoft cloud instead. For hybrid environments, it’s important to have heterogeneous storage — with some data in the cloud and some on-premises. Azure Backup can manage your on-premises storage devices at no extra cost and you can use the cloud storage with the scalable and flexible pay as you use model. Since Azure supports application consistent backups, you are able to reduce restoration time and return to the running state more quickly. With an application consistent backup, the applications prepare for a backup in advance by flushing any pending I/O operations to the disk and achieving a consistent state. By replicating workloads running on both physical and virtual machines from primary site to a secondary location, Azure Disaster Recovery is able to ensure business continuity for your organisation even during outages. If there is an outage at the primary site, you can access your business applications from the secondary location without facing any downtime. After the primary site is up and running, you can start running your applications from there again. 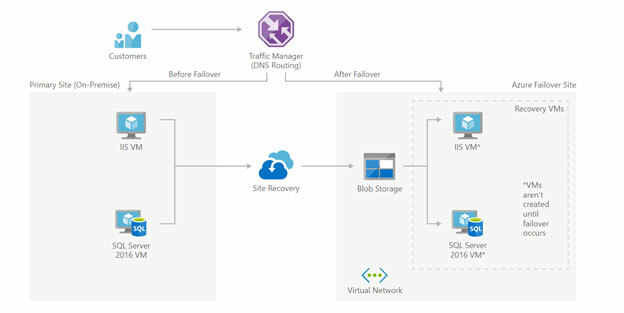 Azure Disaster Recovery has minimal overhead since there is no need to have additional resources present in the secondary region. It automatically creates the required resources in the secondary region according to the primary VM settings when the replication is enabled. With automated continuous replication, it becomes possible for you to perform application failover with just a single click. It’s also possible to run routine disaster recovery drills without affecting ongoing replications or production workloads. How does Azure Backup differ from Azure Disaster Recovery? Azure Disaster Recovery, along with Azure Backup can become a part of your organisation’s business continuity and disaster recovery (BCDR) strategy. While both Azure Disaster Recovery and Backup can backup and restore data, they have different purposes, which is why you need to implement both to ensure uninterrupted access to business applications and data. 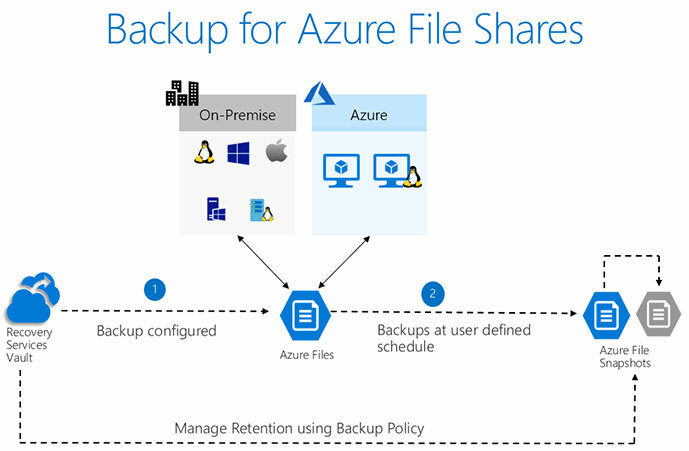 Azure Backup comes into use when you need to restore data at a more granular level like restoring a particular file from a corrupted drive. On the other hand, Azure Disaster Recovery is responsible for coordinating physical server and virtual machine replication, failback, and failover. That is why, Disaster Recovery comes into use when you need to replicate the data and configuration of a virtual machine across another data centre. While Azure does make the disaster recovery and backup process seamless as well as affordable for SMBs and enterprises, you need Azure experts to help setup the whole thing and maintain it to make sure you are able to reap all of its benefits. Swan Solutions & Services Pvt. Ltd​ can help you maintain business continuity with its Azure services so that your team can focus on your core business functions without worrying about any sudden outages. To know how we can help you create a business continuity strategy and set up Azure services, ​contact us today​. Apr 09, 19 What is DevOps and Why does it matter? Jan 30, 19 Containers vs Serverless — What Should You Use?